With the support of an Advisory Council of industry leaders, An Cosán are delivering Ireland’s first Tech Mums programme to bring Digital and the opportunity it offers to young women in Tallaght West. Tech Mums is just part of a two year programme Young Women in IT. The “Young Women in Technology” programme is all about flicking a switch to get young women more comfortable with technology but it is also about supporting women in disadvantaged communities. We want to begin to break down the social divide associated with digital technology and to open up real employment opportunities. Through a series of engaging 2 hour workshops over 10 weeks on topics such as App Design, Coding, Social Media, etc. we aim to help young women understand that software is not scary and offers access to well paid jobs. After the first “taster” course we hope that at least 30% of the group will be interested to stick with Tech and go on to ‘graduate’ from one of our programmes in association with Fast Track to IT (FIT). Our programmes starts in November 2014 and aims to train 60 students this academic year. The ambition is to scale the programme and to deliver it on a national level in direct response to the need to break down the digital divide and open up a pathway to economic independence for women offered by the digital economy. #techmums is an award winning programme started in the UK by Dr Sue Black. 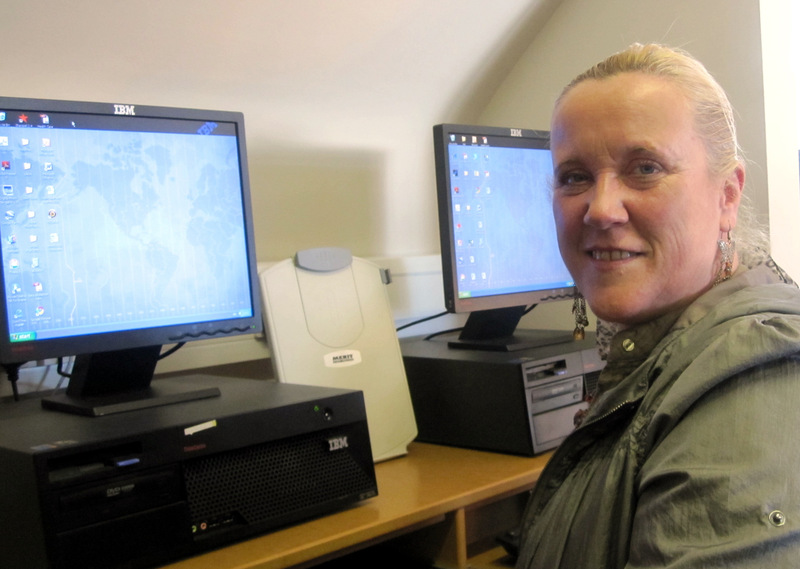 Sue is working with the team at An Cosán to deliver this first programme in Ireland. Dr Black is an inspiring woman with a great story. Read about it at http://techmums.co. Research has shown that Parents are the key influencers of career choice by our children so we hope that by empowering the Mums they will in turn recommend Tech careers to their children. And as there aren’t many women working in technology a focus on Mums will play a part in tackling this gender gap while building a stronger and more diverse talent pipeline for Irish organisations. Above all our programme is about building confidence in women supported by a community of role models from industry committed to driving change in Ireland. Young Women in IT is about growing Ireland’s digital economy. An Cosán is a community education centre in Tallaght West, Dublin with over 28 years’ experience of helping women out of poverty through education.